Steve Jobs was known for rebellion, his vision, and his creativity. But most of all, the name Steve Jobs became almost synonymous with innovation. To see an Apple product is to see the results of Jobs' thoughtful drive. Some notable quotes from this master of innovation tell us how thoughts become things. Jobs showed the world that truly valuable innovation starts first with a belief, which then frames a perspective, which then inspires an idea, which eventually becomes a tangible reality. 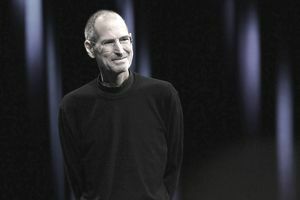 Jobs' beliefs can be adopted and adapted by anyone who strives to be a true master of innovation as well. "A lot of companies have chosen to downsize, and maybe that was the right thing for them. We chose a different path. Our belief was that if we kept putting great products in front of customers, they would continue to open their wallets." "Pretty much, Apple and Dell are the only ones in this industry making money. They make it by being Walmart. We make it by innovation." "To turn really interesting ideas and fledgling technologies into a company that can continue to innovate for years, it requires a lot of discipline." "You can't just ask customers what they want and then try to give that to them. By the time you get it built, they'll want something new." “It’s not about pop culture, and it’s not about fooling people, and it’s not about convincing people that they want something they don’t. We figure out what we want. And I think we’re pretty good at having the right discipline to think through whether a lot of other people are going to want it, too. That’s what we get paid to do. We just want to make great products."